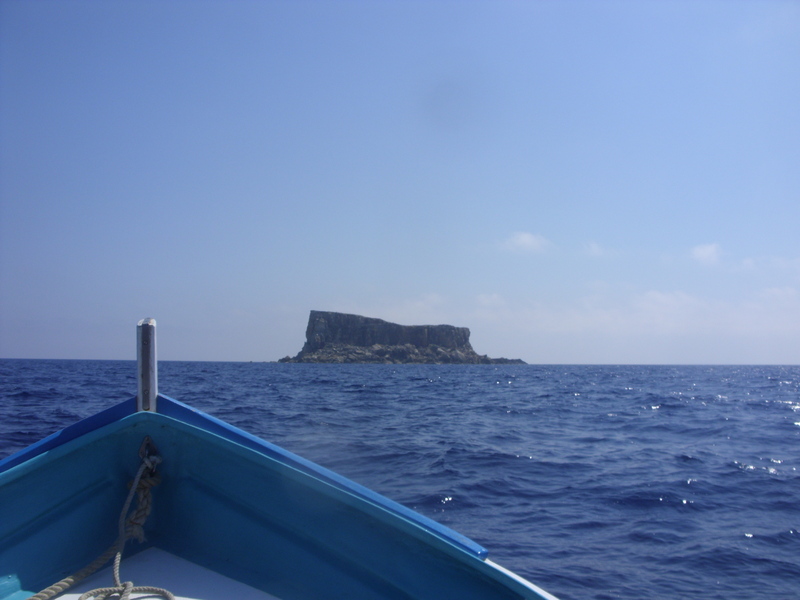 During the past season, researchers of the Life Malta Seabird Project spent several nights on Filfla, a solitary limestone islet about 4.5 km off the southern coast of Malta. This rocky island was once a target area for the British Army. Now, the island is fully protected and access to the island is only permitted with a valid licence. The tiny island is home to Yellow- legged Gulls, Scopoli’s Shearwaters and the European Storm Petrel during their breeding seasons. Outside the breeding period, most individuals spend most of their time far out at sea. 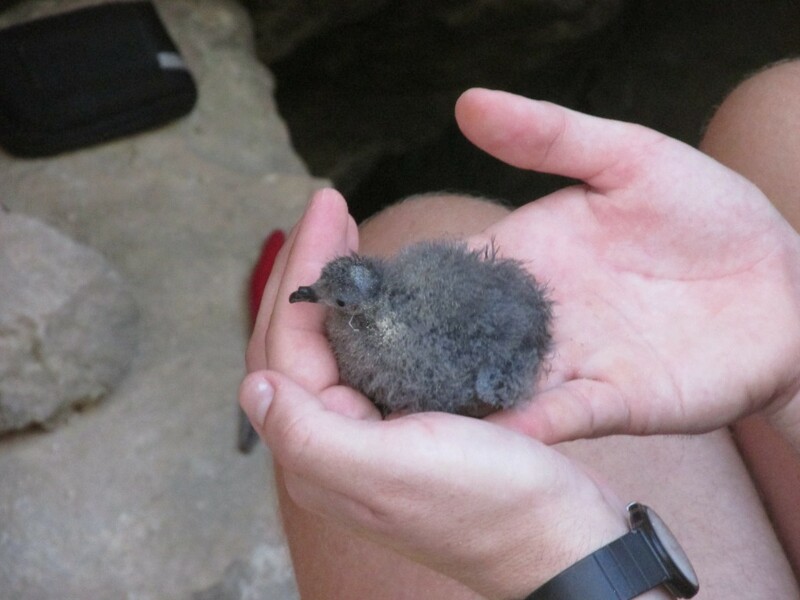 Storm Petrels are no larger than a sparrow and are Malta’s smallest seabird. Currently the estimated population found upon Filfla stands at around 5,000-8,000 breeding pairs. Recent studies have shown that there are strong differences noted between the Atlantic and the Mediterranean populations. If so, the Maltese population would contribute to around 50% of the whole Mediterranean population. Other breeding populations within the Mediterranean can be found in Italy (Sicily and Sardinia) and Spain (Mediterranean coastline and the Balearics). Each research trip to the rocky base of Filfla consisted of setting up fine mist nets to enable researchers to catch and ring Storm Petrels, further gathering vital information that will contribute towards the ongoing conservation of the species and help build a better picture for the Mediterranean race of the Storm Petrel. Over the season a good number of Storm Petrels were caught/re caught. One recaptured Storm Petrel had been ringed on the islet 25 years ago, which makes the bird at least 26 years of age! The eldest recorded individual for the Storm Petrel on Filfla was caught 27 years 8 months after its initial capture as an adult! The Storm Petrel is asynchronous in its breeding behaviour: egg-laying spans four months (April to July). Some young birds are fledging and leaving the colonies by mid-August, while last birds fledge by mid-October, by which time the colonies are totally deserted. During trips, checks were also made to the artificial nest boxes placed within proximity of known Storm Petrel colonies. Notes were taken to establish how many were occupied. While researchers found a few to be occupied, they also found a number of natural nest sites in close proximity to these artificial nests. During a trip in early September the researchers were lucky enough to witness a youngster exercising its wings outside its nest prior to taking its first flight out to sea. Once at sea, many individuals don’t come back to breed until they are 6 years old! Some do return earlier but often don’t breed. 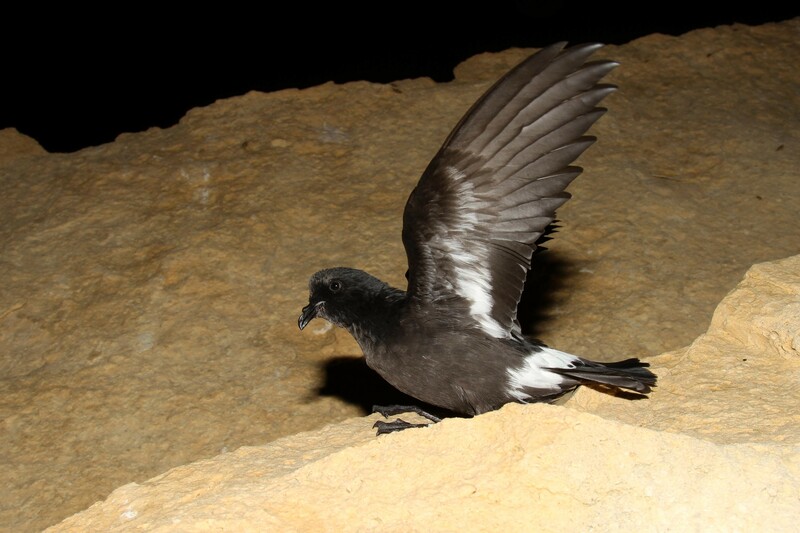 Young Storm Petrel exercising it’s wings prior to first flight. Photo : Ben Metzger. 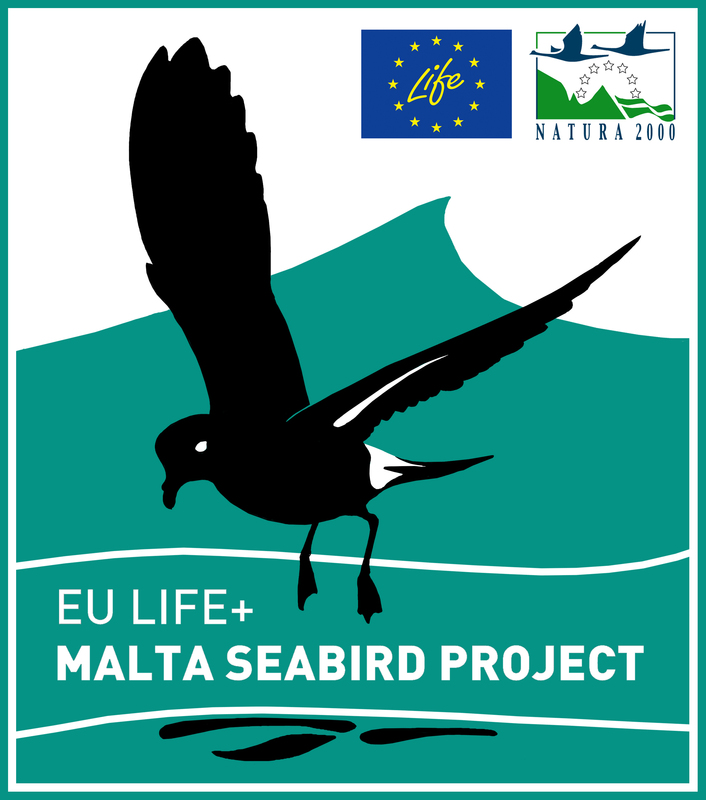 It has been a huge privilege to be able to visit Filfla this year as a volunteer for the Life + Malta Seabird Project. It has been fascinating to see these remarkable seabirds at such close quarters and be a part of an amazing project. 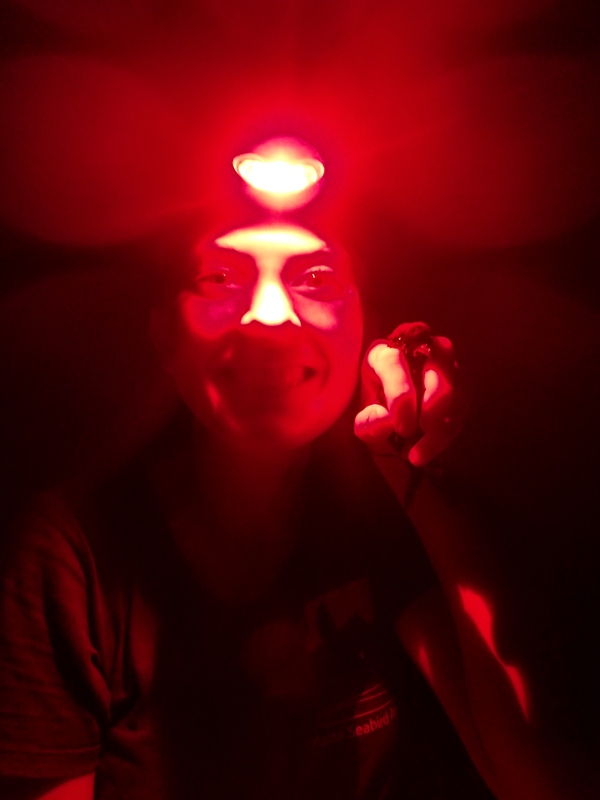 I have learnt so much about seabirds and definitely increased my love for tube-noses and particularly Storm Petrels!